HEART OF THE CITY 2016!!!!! Here’s my 11th playlist on CJSR, from Monday 9 June! 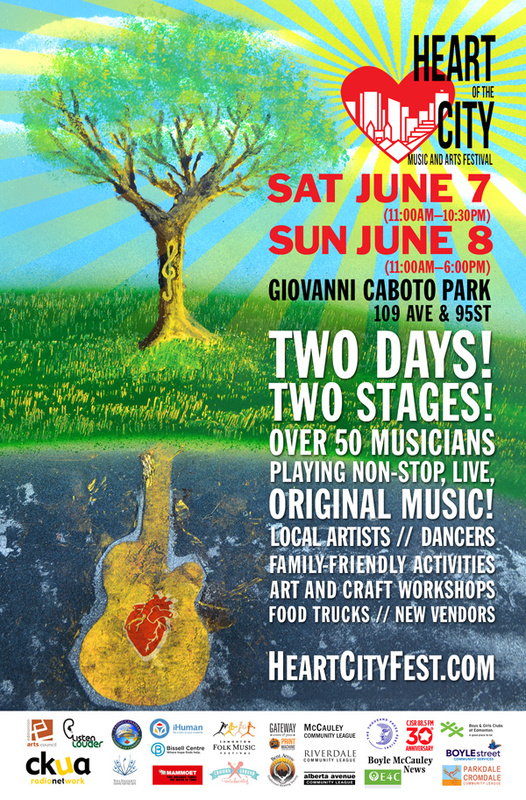 Acts in green performed at Heart of the City Music Festival! 1) The film 2012, starring John Cusack, WAS NOT A DOCUMENTARY. 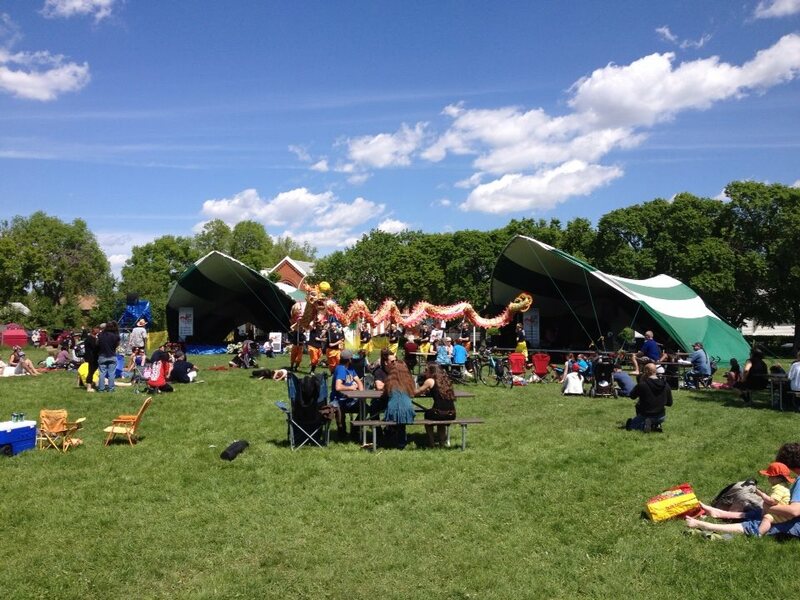 2) This year will be the 10th Anniversary of Edmonton’s Heart of the City Festival. The next open mic will be this Saturday, January 26th. The shows are in partnership with E4C McCauley Apartments, and held in the city’s urban core, at Pacific Cafe, 10876 97st NW. The show will feature Paula Kirman, and you, if you’re interested. To sign up for the open mic please call 780 424 2870. 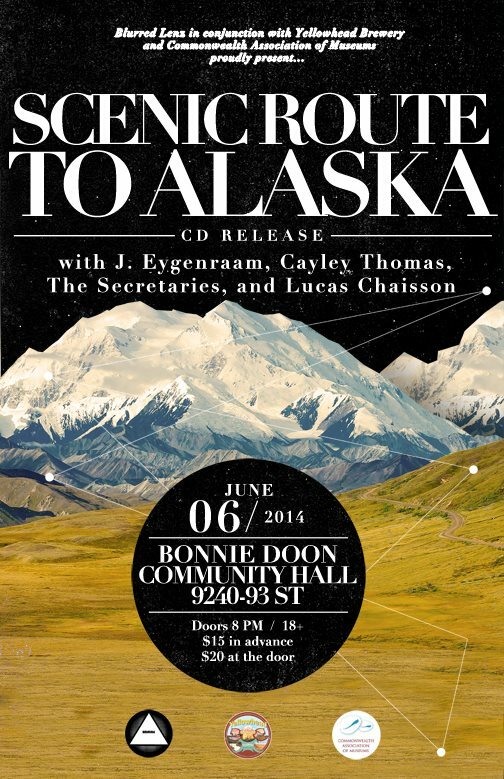 Find all the details on the Facebook event page here. And, just like Cusack’s film kept going, that’s not all! 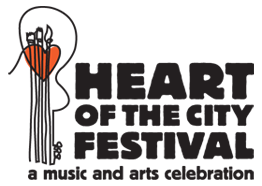 The Heart of the City Festival Society is also partnering with CJSR to put together a 10th anniversary compilation album. It’s set to be released on the 1st day of the festival, which will be held June 1 and 2, 2013! If you’re interested in submitting a song, the deadline is the last day in February of this non-leap year, also known as the 28th. All the info you need can be found here.